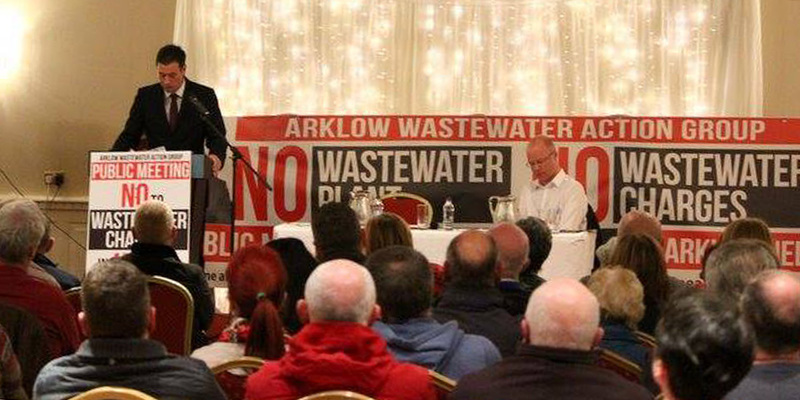 Stephen Donnelly, Independent TD for Wicklow and East Carlow was delighted at the huge turnout at the public meeting held in Arklow to oppose wastewater charges for homes and business in Arklow. 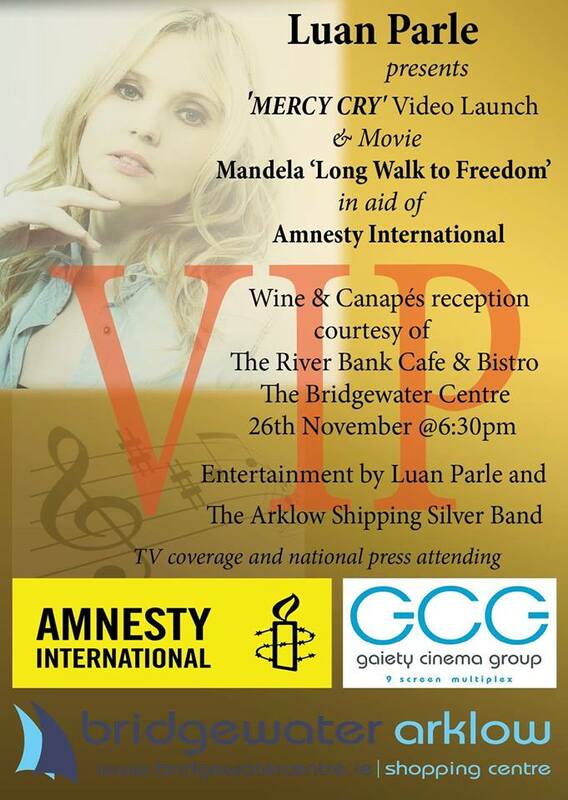 The event organised by Stephen Donnelly and Pauric Hyland was attended by approximately 400 people. The public meeting follows efforts by Deputy Donnelly and Pauric to have wastewater charges waved by Irish Water for homes and businesses as Arklow has no wastewater treatment facility. In the Dáil on Wednesday, minister Alan Kelly mentioned Arklow and the other 41 towns that have raw sewage dumped into rivers and seas but, still insisted that these towns pay wastewater charges. Speaking at the event, Donnelly said that a clear precedence exists for a waver. Areas on boil water notices do not pay for incoming water nor do homes with their own wells. Similarly, homes with septic tanks don’t pay for waste water charges treatment. He said the case is unambiguous for a similar waver to be applied to Arklow. A petition has been started and Deputy Donnelly is urging people to march on December the 10th to demand fair treatment for the people of Arklow by this government. Deputy Donnelly will be tabling amendments to upcoming government legislation that would enshrine this waver into law.